AlertDriving’s latest training programme, MotorMind, is described as a “totally new, unique approach to driver training”. Dubbed MotorMind, the new programme has been designed to help drivers re-evaluate deep-rooted beliefs that lead to dangerous driving behaviours. Interactive lessons combine elements of game-playing with engaging exercises that focus on challenging topics, such as distracted driving and proper space management. 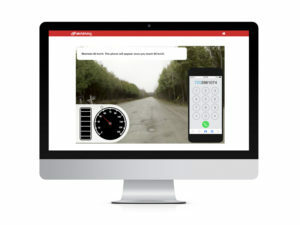 AlertDriving provides global training coverage in more than 70 countries across the world and the new solution is now being integrated into the company’s multi-year training programme offered under its FleetDefense driver risk management platform. The new programme is also available through Fleet Logistics, which entered into a strategic partnership with AlertDriving around 18 months ago with the intention of helping fleet clients meet their duty of care obligations to their drivers, as well as improving driver safety and ultimately reducing fleet spend through lower repair and accident management costs. The latest MotorMind programme will now be made available in all of the countries that Fleet Logistics currently operates in throughout Europe, the Middle East and Asia Pacific.